Happy last Tuesday in July! Where in the world has time gone! I'll have a special announcement at the end of the blog post so be sure to read all the way to the bottom!!! This week I worked with her on 5 digit addition regrouping using my 5 Digit Addition Regrouping Summer Task Cards. It includes 24 task cards in color and black and white. I put them with a game board in tutoring, which does not come with this set, but you can use them as traditional task cards. They work perfect for the game "Scoot." These include a recording sheet and answer key! We finished tutoring practicing elapsed time to the hour and half an hour using my Telling Time to the Hour and Half Hour Task Cards. It had been a few weeks as they were on vacation, but she is starting to grasp it. You can see how I used those cards for elapsed time by checking out my last Tutoring Tuesday post HERE. I am happy to announce the Teachers Pay Teachers Back to School sale on Wednesday August 1st and Thursday August 2nd, 2018! You will get 25% off my store by using the code: BTSFRESH at checkout. 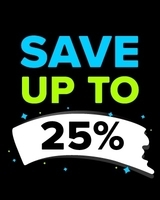 Please note all of TPT will NOT be 25% off. That is up to each individual store. I have set everyone of my products for sale at 20% off and the code BTSFRESH makes it 25%. My bundles you will save far more than 25% off as they are already 20 to 30% off. So take advantage and shop bundles while you can get them for an excellent price! Click the picture to follow my store and start putting things in your cart for Wednesday! I will also have my Teacher's Dojo and Teacher's Notebook stores on sale for 20%. They do not have a code to save more.